The MotorWeek Drivers’ Choice Award for Best Large Utility goes to the Volkswagen Atlas! This makes the Volkswagen Atlas the best SUV for the second year in a row. MotorWeek determines the winners of these awards after reviewing over one-hundred and fifty cars, trucks, and SUVs. They then critique driving performance, technology, practicality, fuel-efficiency, and value for the dollar. The Volkswagen 2015 Beetle Coup Hatchback is a classic and fun car to own. Perhaps the most iconic car on the market today it offers great performance and modern features. With a classy exterior and a stylish interior your Volkswagen dealer near Cottage Grove spotlights the new 2015 Volkswagen Beetle Coup two door Hatchback. Even though the Volkswagen Beetle Coup Hatchback is a smaller vehicle with seating for just four, it offers a stylish and comfortable interior. Here is a look at what is available inside the Beetle. The Volkswagen Beetle Coup Hatchback is recognized for its safety record. The most up to date safety features are available and include the following. To check out and take a test drive in the new 2015 Volkswagen Beetle Coup Hatchback, stop by your Volkswagen dealer near Cottage Grove today. The 2015 Volkswagen Passat is a sleek looking 4 door midsize sedan. It comes in eight great colors, offers a smooth ride, is extremely reliable and gets great gas mileage averaging 24mpg city and 35mpghighway. Your Burnsville area Volkswagen dealer recommends the 2015 Volkswagen Passat as the number one choice for families looking for an economical ride. The 2015 Volkswagen Passat offers a roomy interior with seating for five. Back seat passengers will enjoy extra leg room not found in other midsized vehicles. Cargo room is also plentiful offering more than adequate trunk space for all your luggage needs. A blue tooth hands free system is on board as is a six speaker audio system with AM/FM/CD including MP3 capabilities and steering wheel mounted controls. A trip computer displays your average speed, average fuel economy and range until empty. An adjustable driver bucket seat with lumbar support, cruise control and power one touch windows are other great features. Cup holders and storage areas are also included. The 2015 Volkswagen Passat is loaded with safety features to protect you and your family. Airbags are located throughout and an ABS braking system with electronic traction control is standard. You will also find adjustable head restraints and adjustable height seat belts. Additional safety features include an immobilizer, halogen headlights with dusk sensors and intermittent windshield wipers. There are numerous additional features you can consider when purchasing the 2015 Volkswagen Passat. These include leather heated front seats and dual zone climate control. Some models also come with a rear view camera, sun roof, push button start and a touch screen navigation system. The redesigned 2015 Volkswagen Golf Launch Edition is now on the lot at your Eagan area Volkswagen dealer. This versatile, roomy, sleek looking two door hatchback is a great pick for first time car buyers and for single drivers looking for a fun sporty drive. Here is a detailed look at the Volkswagen Golf Launch Edition. The Volkswagen Golf Launch offers a quiet ride, amazing gas mileage and overall is a great value. The sporty exterior has body colored driver and passenger power mirrors, body colored front and rear bumpers and a roof spoiler. The inside is loaded with amazing feature including a great audio system with a color touch screen, 8 speakers and AM/FM/CD with MP3 capabilities. Drivers are treated to an adjustable driver bucket seat with lumbar support. Passengers have ample room in a spacious back seat. Other features include a tilt steering wheel, power locks, cruise control, one touch front windows, a front center console with cup holders, arm rests and vanity mirrors. Finally, cargo space is plentiful and includes 60/40 rear folding seats. Safety Features are plentiful and include a 4 wheel anti lock braking system with electronic traction control. Airbags are located throughout including intelligent driver and front passenger air bags. Also included are day time running lights, adjustable head restraints, adjustable height seat belts, intermittent wiper blades and an immobilizer. Finally an anti theft protection system is also included. Did you know that driver distractions are one of the top causes of accidents on the roadway? Avoiding distractions at all costs while driving is essential to keep you and your passengers safe. Your Inver Grove Heights Volkswagen dealer warns drivers to avoid the following distractions when driving. 1) Never Use Your Cell Phone: Using your cell phone while on the roadway can be deadly. You should avoid talking or texting on your phone. If you need to use your phone before you reach your destination find a location to safely pull over. 2) Don’t Reach For Items In Your Car: Another common distraction is reaching for items in your vehicle. Never take your eyes off the road to find and reach for items. 3) Avoid Eating And Drinking: Drinking and eating can also be a distraction while on the roadway. Take the time to eat and drink before hitting the road. 4) Don’t Turn Around To Talk To Passengers: While it may be tempting to turn and talk to those in the backseat, you should never do this. It is essential to keep your eyes on the road at all times. 5) Program Your GPS Before Leaving Home: Another distraction you need to avoid is programming your GPS while driving. Instead, get it set up before you leave, or if you must re-program it en route find a safe place to stop. 6) Set Up Your iPod Or MP3 Player Ahead Of Time: As with the GPS, get your iPod or other streaming device programmed and ready to go before you leave home. 7) Don’t Put Make Up On While Driving: Never fix your hair or put on makeup while you are driving. Instead do it before you get on the road or once you have reached your destination. With the winter months upon us it is important to be prepared for winter weather driving conditions. Driving in the snow and ice can be tricky and knowing how to handle your car and what safety precautions to take is essential. Here are some top safety tips for driving in the snow and ice from your Cottage Grove Volkswagen dealer. Before heading out in snowy or icy weather take the time to prepare your vehicle for the ride ahead. First, check your emergency road kit and stock it with flares, flashlights, jumper cables, an ice scraper, a snow brush and warm blankets. Also take along warm gloves, boots, non perishable foods and water. Before taking off you should clear your vehicle from any snow and ice, fill up your gas tank and your wiper fluid. Set up your GPS before hitting the road and take your cell phone with you. Once on the road you will need to take extra precautions. First, take it slow and leave extra distance between you and other vehicles. Take your time when accelerating to avoid going into a tail spin. Know what type of brakes you have on your car and how to safely use them. For example if you have an ABS braking system never pump your brakes. Instead, push down in one fluid motion and let your braking system safely bring you to s stop. It is also a good idea to leave your headlights on at all times. Finally, stay alert and totally focused on the roadway, avoid all distractions and stay tuned into a local station for changing weather conditions. Road side assistance plans can give you peace of mind when on the roadway. Your Volkswagen dealer near Bloomington recommends that all drivers purchase a road side assistance plan for just that reason. Here is a detailed look at what is typically included in road side assistance plans and tips on finding the best plan to fit your needs. Most road side assistance plans have similar coverages. Here is a list of the typical 24/7 benefits of a basic plan. In addition to basic coverage, many plans offer additional benefits. Here are some of the extra perks that come with many upgraded road side assistance plans. You should carefully decide which road side assistance plan is right for you by considering your personal needs. For example, if you only travel locally an enhanced plan may not be worth the money. You should also carefully compare several different plans for value before making a decision. Aluminum wheels are an excellent addition to your vehicle; they complete the overall design of the vehicle. Aluminum wheels are resilient, and with a little TLC, they can shine for many years to come. Maintaining a regular cleaning and polishing schedule will ensure your wheel maintain their luster and prevents the wheels from oxidization. Cottage Grove area Volkswagen has tips for cleaning and polishing your aluminum wheels. Cleaning your wheels is important to maintain the look of the wheels, but it also removes dirt and grime that can cause damage and become dangerous when you are driving. When you are cleaning the wheels, use a cleaner that is top-rated by the experts and recommended for your wheel-type. All-purpose wheel cleaners are work really well. Wet the tire and wheel, spray on the solution, and use a washing mitt or a soft-bristle brush to clean the wheels. Make sure you get in between he spokes and around the lugs. Rinse the wheels and allow them to dry completely. To shine and protect the wheels, polish and wax. When you are polishing the wheels, choose an aluminum past that is formulated for your wheel type. Using a buffing ball, which is attached to the end of an electric drill, to shine the wheel. Make sure you get into the grooves and tight spots. If you want to seal in the shine, consider waxing the wheels after they have been polished. Avoid products with silicon, instead purchase all-natural products or beeswax-based solutions. To take the guesswork out of the process, you can find many wheel finish polishes that are sold specifically for your type of wheels. Have you hit the slopes yet this season? Hyland Hills and Lutsen Mountains are calling your name. The vertical drops and acres of fresh powder are hard to resist when the temperatures fall. Load up the crew and it the slopes, but first, make sure you have the right vehicle this year. Pre-owned 4WD SUVs at Inver Grove Heights area Volkswagen are perfect companions for the slopes. How does a $7,999 price tag sound to you? Think of the number of passes you could buy when you save that much money on the 2004 Volkswagen Touareg. The winter-worthy Touareg sports a 3.2-liter 6-cylinder that blazes through the snow with a 4-wheel drive drivetrain and 220 hp. The fuel economy rating is 13/19 mpg. To help you stay warm, safe, and comfortable this winter, Volkswagen loaded the Touareg with traction control, stability control, a luggage rack, heated mirrors, heated seats, keyless entry, a wealth of safety features, all-season tires, and a 10-speaker audio system. The 2009 Volkswagen Tiguan SE is loaded with the best winter-weather features and ski-worthy accessories. The price for the SUV is only $16,990, and it comes with a free AutoCheck report. The 2.0-liter 4-cylinder engine is turbocharged and coupled with a 4-wheel drive drivetrain to make the trudge up the mountain smooth and effortless. The horsepower rating is 200 hp at 5100 RPM with 206 lb.-ft. of torque at 1700 RPM. The fuel economy rating is 18/24 mpg. Slope-friendly features include 4-wheel disc brakes, traction control, stability control, luggage rack, heated mirrors and seats, performance tires, pass-through rear seat, and keyless entry. 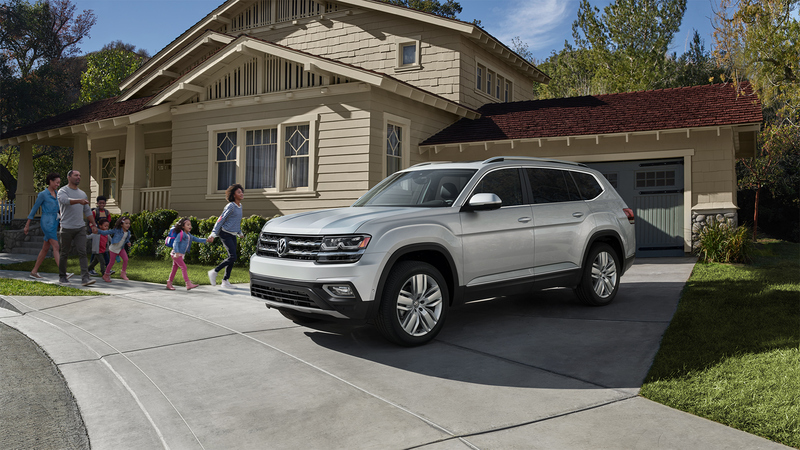 In 2009, the Tiguan earned an IIHS Top Safety Pick Award. You have probably noticed that there are a variety of filters installed on your vehicle, and the service team can help you get to know each one a little better. Bloomington area Volkswagen describes the different filters for your car. Despite the name, it is not for the air conditioning system in your vehicle. The air filter is actually a paper filter installed on the engine. The job’s filter is to filter out airborne contaminants and debris in the air so that it is not sucked down into the engine. If the filter becomes clogged, the vehicle’s performance and efficiency can be reduced significantly. The cabin filter is important for maintaining the health of the air inside of the cabin. The vehicle’s A/C and heating systems are susceptible to invasions from exhaust fumes, dust, pollen, bacteria and other airborne contaminants. The oil filter must be replaced every time the engine oil is replaced. The oil circulating through your car’s engine provides essential lubrication and life to the engine. The job of the oil filter is to prevent contaminants from the engine oil so the car can run at optimal performance and efficiency. Consult your owner’s manual for your oil change schedule, and abide by it faithfully. Changing your oil and filter is a simple and affordable task that can prevent significant and expensive damage in the future. Internal combustion engines have a small filter on the fuel line; it filters out dirt, contaminants and rust that may be lurking in the system. The filters clean and protect the fuel injectors. Performance, operation, and fuel economy. Many symptoms arise from a clogged fuel filter: reduced mpg, chugging, RPM surging, misfire, rough idling, and a glowing check engine light.